One of these Obama speeches working with half-truths, a lot of hot air and frank propaganda had been delivered yesterday right in the Department of Justice in Washington. This is of course complete nonsense. Obama claims that “taken together, these efforts [the transformation of America’s intelligence community] have prevented multiple attacks and saved innocent lives — not just here in the United States, but around the globe.” But as a matter of fact, even mass spying on their own citizens, let alone “pinpoint[ing] an al Qaeda cell in Yemen or an email between two terrorists in the Sahel [sic]”, have not prevented any domestic terrorist attack in recent years and Obama’s drone war, a global assassination campaign, has evidently produced far more enemy “combatants” in countries like Pakistan or Yemen than killed targets. NSA’s mass surveillance is, of course, just a direct consequence of endless war, something which has in fact begun after the end of the Cold War and which turned, in the absence of true antagonists, into a war against certain individuals who hate the U.S. for one reason or the other. The world had expected in 2009 that the young and charismatic, now disenchanted, constitutional law professor in the White House would eventually end George W. Bush’s “war on terror”, not to perpetuate it, refine it, extend it to whistle-blowers and a free press. 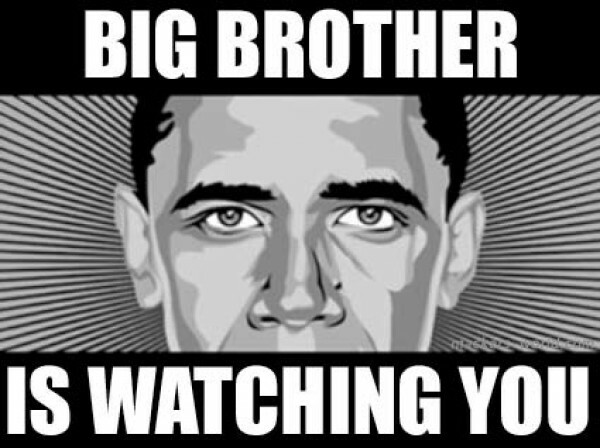 There is a lot of admitted skepticism in Obama’s speech (“I have often reminded myself I would not be where I am today were it not for the courage of dissidents like Dr. King, who were spied upon by their own government”), be it to pretend his own and his citizens’ reservation towards mass surveillance to get them finally aboard, be it to signal that this is essentially not his own decision to just make some cosmetic reform of the NSA. Obama is smart enough to assume both propaganda and denial of responsibility, a hostage of uncontrollable Alexander, Clapper, Hayden and the likes. That spying is done by each country, that members of the intelligence community are our family and neighbors and “[c]orporations of all shapes and sizes track what you buy, store and analyze our data, and use it for commercial purposes” cannot justify NSA mass suveillance. And to curb the metadata collection under section 215 of the FISA act. Well, not really. Juan Cole points today to the fact that U.S. intelligence knwe that al-Mihdar was in the United States. The reason why al-Midhar was not detained was that “[t]he various intelligence agencies were each looking to make their own bust and refused to properly share information with one another.” (Cole’s emphasis.) Anyway, Obama promises to order “a transition that will end the Section 215 bulk metadata program as it currently exists, and establish a mechanism that preserves the capabilities we need without the government holding this bulk metadata.” Admittedly, not an easy task. “Effective immediately, we will only pursue phone calls that are two steps removed from a number associated with a terrorist organization instead of the current three. And I have directed the Attorney General to work with the Foreign Intelligence Surveillance Court so that during this transition period, the database can be queried only after a judicial finding or in the case of a true emergency. Way too vague to rebuild lost confidence by the American citizens (is it?) and people abroad (for sure). It doesn’t come as a surprise when media in Germany, for instance, pointed to Obama’s promise not to tap phone calls of the heads of friendly governments anymore, such as German Chancellor Angela Merkel. Is that the essence of Obama’s promised reforms? Merkel, whose mobile phone had been targeted by NSA, will certainly recall Obama’s claims when having visited the Brandenburg Gate in June last year, a couple of weeks after Edward Snowden’s leaks began to emerge in public. Fool me once, shame on you. Fool me twice, shame on me. And finally, ad nauseam, Obama’s patriotic claims of Americans being exceptional, American values (long betrayed), Americans being natural leaders. Orwellian. 18 January 2014 @ 9:59 am. Last modified January 18, 2014. This entry was posted in surveillance, USA and tagged Angela Merkel, Barack Obama, Edward Snowden, intelligence community, James Clapper, Keith Alexander, mass surveillance, metadata, Michael Hayden, NSA, propaganda. Bookmark the permalink.